Can you believe it is already holiday season?! Every year it seems to creep up out of no where. 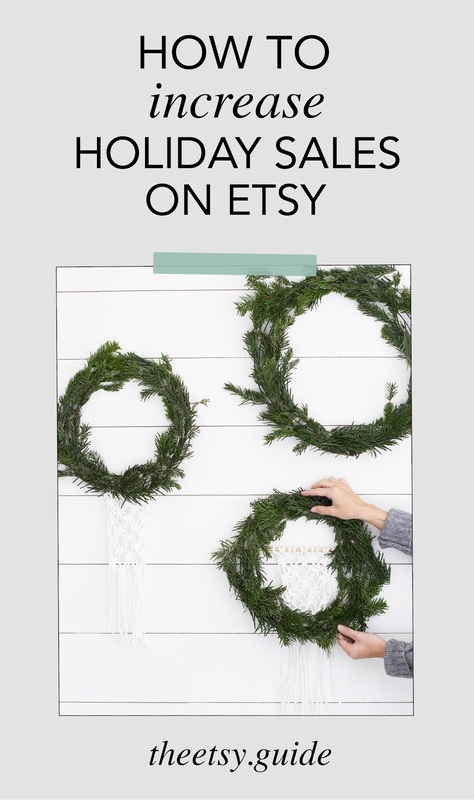 If you're looking to end the year in sales strong, I've compiled my best tips for how to increase holiday sales on Etsy! It's not too late to finish the year strong. Free Shipping- This year it is easier than ever to offer free shipping on Etsy. 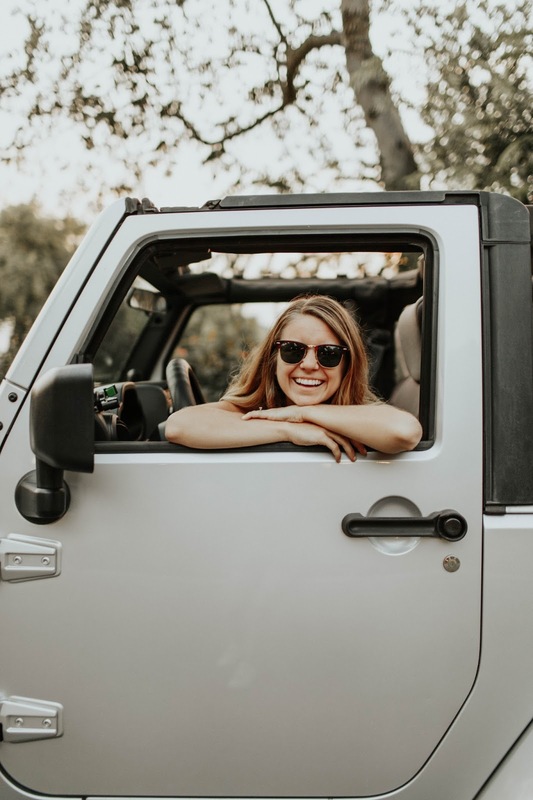 Simply go to your dashboard, click 'marketing', 'sales and coupons' and then click 'new special offer' in the top right corner, click 'run a sale' and then follow the instructions to set up a free shipping offer. Personally, I like to make sure there is a minimum for an order for a free shipping coupon. This way I don't have to raise my prices and I don't take a cut out of the earnings. This shows customers if they spend just a few more dollars, they'll receive more product and won't waste money on shipping! Of course, I only offer this for domestic orders because international shipping these days is pricey! Another great part about offering free shipping on Etsy that will make sure you make more sales is Etsy has a way for shoppers to filter their search for products with free shipping. This is a huge win for sellers, and a great way to get your product and shop seen by more people. Word of Mouth- I think word of mouth is so underrated! I get so many orders from saying "hey! I'm friends with your friend ____ and I saw her post about this and just had to have your product too!" Plus, I'm sure you have many proud friends and family members that love to see you flourish selling on Etsy so they share it with their friends on Facebook or their dentist. The great thing about word of mouth around the holidays is people feel like they can trust you because your shop was recommended by a friend or acquaintance. When trust is already built, people are likely to purchase something from your shop! So don't underestimate sharing your shop with friends and family. You can even put them on your mailing list and they'll remember you next time their in conversation. Giveaway + Coupon Code Follow Up- I've talked about giveaways many times through my Etsy tips in the past. This post on effectively promoting your Etsy shop shows how to run a successful giveaway. Follow up your giveaway with a coupon code for everyone who entered! Whether it is 15-25%, buy one get one, or free shipping...it is a great way to snag more sales for the holidays and reward those who have faithfully been supporting you! Make Products Ready To Ship- The holidays can be such a blur when you own your own shop but the best way to make sure you are prepared is to prepare products in advanced. You can promote your products "ready to ship" on Etsy which lets buyers know they'll receive their product in time to gift it. This is also very helpful for last minute shoppers. Gift Guides- Most of my shop views and sales come from gift guides from blogs and magazines that feature my products. Although these are prepared months in advanced, it still doesn't hurt to send a few emails to blogs or influencers. Gift Wrap Options- I'm not surprised at how important gift wrap is for buyers, especially around the holidays. Make sure your gift wrap options are photographed and displayed on your listing. You can charge a few more dollars for gift wrap to cover costs, but this little detail is so important for customers to know their purchase is being delivered thoughtfully. Make sure your gift wrap is on brand, has a link to your shop printed as well as a thoughtful note! Overall, I think to sum up how to increase holiday sales on Etsy is to remember how you like to be treated during the holiday seasons. Everyone is usually high stress, on tight deadlines and rushing around. How can you accommodate your customer? How can you make their experience ten times better than they expect? Of course, this is a great rule of thumb for any part of the year. Holidays are also a great time to show grace and kindness, so even when it is tempting to be under high stress, tight deadlines and rushing around yourself...take a deep breath and remember you can turn someone's day around!